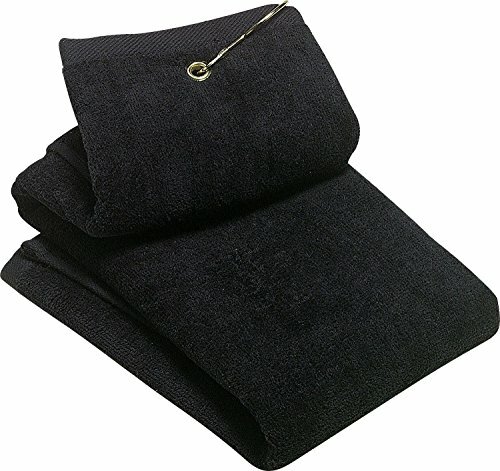 Zelta Tri-Fold Golf Towel with Carabineer Bag Clip, Cotton Terry-Cloth Black 16" x 25"
Product prices and availability are accurate as of 2019-04-19 06:17:25 UTC and are subject to change. Any price and availability information displayed on http://www.amazon.com/ at the time of purchase will apply to the purchase of this product. Made of 100% cotton terry-cloth. Pretty handy as spare towels around the home too (we use these soft microfibre towels when our regular large fluffy bath towels are in the wash, and they're useful as guest towels too!). Ultra light weight, quick drying towel. These extra large towels soak up masses of water, yet they are really quick drying, which means they are ready to go again when you are. 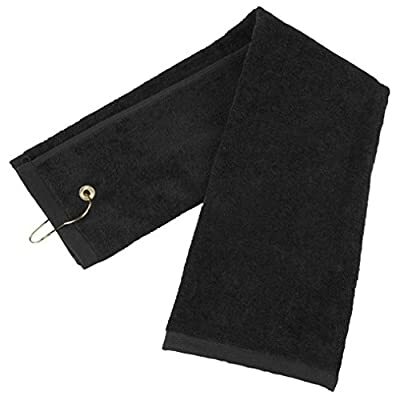 PREMIUM QUALITY: Zelta golf towel are made of 100% cotton terry-cloth, high quality and durable, EASY TO CARRY: Carabineer clip and metal gromment attachment for easy access. Easily attach around anything, your bag, your cart, or your push cart. TRI-FOLD ABSORBENT: Extra large with 16" x 25" size, help you clean up your stuff well. This superb golfing accessory allows you to keep your equipment clean and free from dirt. 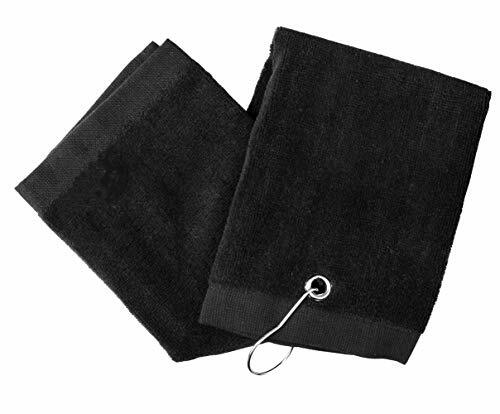 SUPER ABSORBTION & QUICK DRYING TOWEL: Super absorbent 400 grams per square meter, cotton terry-cloth material cleans fast and easy. Quick drying and excellent absorbtion after wringing out, remaining soft to the touch. ULTRA LIGHTWEIGHT: Ideal for carrying to the gym, for cyclists, for trekking or a camping trip. The perfect travel accessory. Fast drying and easy to hang. Can be used as a travel towel, gym Towel, beach towel, yoga towel, sports towel, swimming towel, golf towel as well as for festivals, school, pilates and fishing.